Before Tom Cruise ever donned leather pants and a bandana, Rock of Ages was a core 1972 double LP in the canon of a certain Band. First expanded with ten additional tracks in 2001, Capitol and Universal Records are upping the re-release ante, producing Live at the Academy of Music 1971, an uncut collection of The Band’s New Year’s Eve concerts from which highlights were drawn for Rock of Ages. Slated for September 17, it will feature four CDs, one DVD, one book plus original essays and liner notes. And while the perks and goodies included may read like any other special edition – unreleased tracks, live cuts, 5.1 video – Live at the Academy Of Music 1971 so precisely captures a moment in The Band’s career. 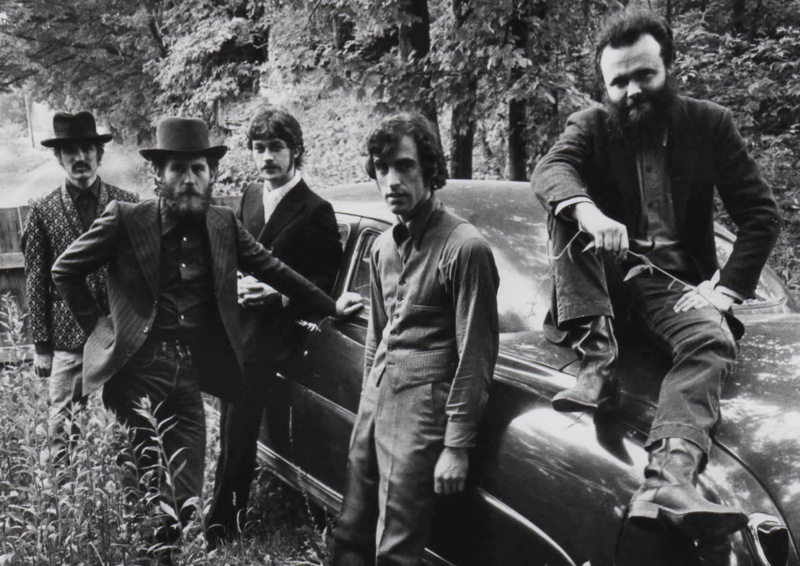 When guitarist and main songwriter Robbie Robertson performed at the Eric Clapton Crossroads concert, he performed “I Shall Be Released” in memory of late bandmates Levon Helm, Rick Danko and Richard Manuel. (Garth Hudson is still around and making music, recently performing with Wilco at their Americanarama stop in Sarasota Springs.) Robertson has been closely involved in the production of Live at the Academy of Music 1971, an essay of his is included in full, and described hearing those tracks again – “my Bandmates at the top of their game” – as deeply moving and powerful. Yet the collection offers reflection from those not quite in the eye of the storm as well, in the form of the 48-page hardcover accompaniment book. In addition to unseen photos, the book includes the original Rolling Stone album review from co-founder Ralph J. Gleason as well as contributions from Mumford & Sons and Jim James. As for the music, the set is nothing less than comprehensive: The first two discs feature every song played during the four concerts and the “New Year’s Eve soundboard mix” on discs three and four are uncut, unedited and straight from the masters. Check out the full track lists below and pre-order the box set through Amazon here.